On 16 January the Ukrainian parliament passed emergency amendments to a series of laws on the judiciary and the status of the courts, which have transformed the country into a police state. In the history of Ukraine the rule of Viktor Yanukovych can with confidence be described as the era of the unbridled abuse of power. Every day he has chipped away at the rights, freedom and prosperity of the Ukrainian people until, just when it seemed as though the screws couldn’t be tightened any more, the President revealed his real face – the face of a tyrant. 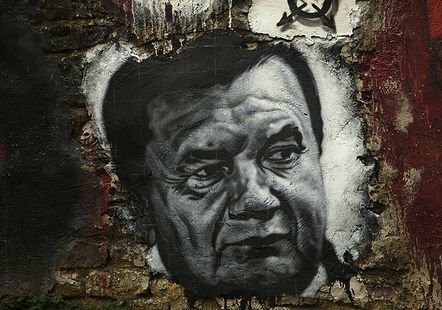 Yanukovych has chipped away at the rights, freedom and prosperity of the Ukrainian people…now he has revealed his real face – the face of a tyrant. The iniquity started on 16 January. On that day Parliament defied all conceivable and inconceivable rules, to vote in amendments to the law on the judiciary and the status of the courts, as well as procedural laws relating to additional security measures. Under the benevolent guise of care for its citizens, there lurks a boa constrictor which is busy entwining itself around the arms and legs of those same citizens. The new law was apparently drafted by the siloviki - 'men in uniform' - as a matter of great urgency. Photo CC Vodnik. The background to the law is as telling as the law itself. 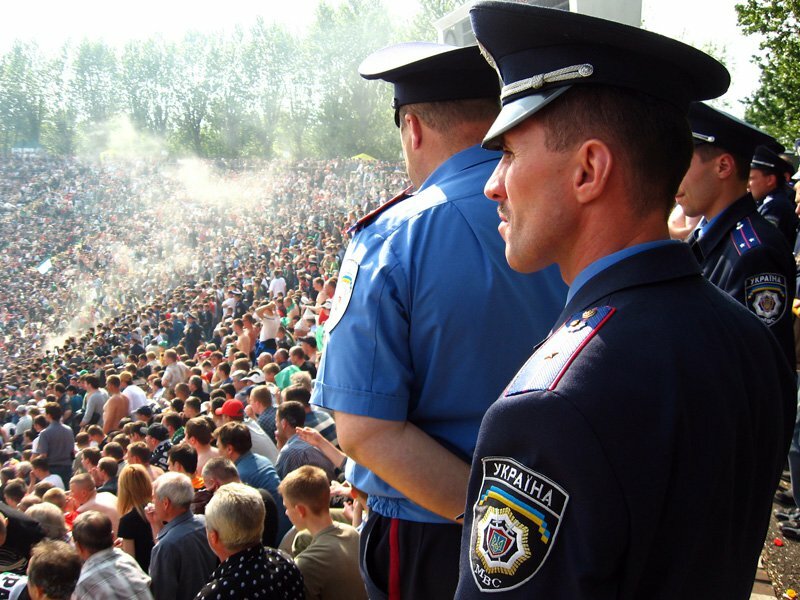 It was apparently drafted by the ‘men in uniform’ or siloviki, as a matter of urgency; immediately after New Year, when the country was officially still on holiday, staff members of the Prosecutor’s Office, the police and the security services were summoned to work to prepare the material which forms the basis of the law. The task was very clear: the regulations had to be tough enough to stifle any desire to protest, defend one’s rights, criticise the government or monitor the work of the courts and the law enforcement agencies - all with the aim of preventing a second Maidan protest. The prepared drafts were then sent urgently to the office of the President (Bank Street), and thence to the Parliament in the form of a draft law drawn up by Party of Regions (PoR) deputies,Vadim Kolesnychenko and Volodomyr Oliynik. The law was railroaded through Parliament: submitted on 14 January, introduced on 16 January, and voted on that very same day. No relevant committee of oversight got a look at it, which is why the opposition knew nothing about it, and didn’t realise what kind of a law had been enacted or the threat it represented to the freedom of individuals. Immediately after the law was passed, Kolesnychenko blogged on the popular portal Ukrainskaya pravda (Ukrainian truth) that the law had been in preparation for approximately two years and was intended to facilitate the establishment of a state governed by the rule of law. The only truth in his words is that the document is a summation of all the anti-democratic regulations, which the Yanukovych government has been trying, bit by bit, to pass into law from the very moment he ascended the presidential throne. This law has drawn a big fat line under all his attempts. The law covers practically all areas of life. It even goes as far as forbidding the wearing in public of clothes which look like military uniform unless the law enforcement agencies have given special permission. The penalty for this is a fine or fifteen days in prison. The wearing of helmets or masks at protest rallies is also prohibited. The rationale behind these very harsh penalties is presumably to put people off driving to the homes of high-ranking officials, including the presidential residence at Mezhygirya, a practice much used by Avtomaidan protesters. The law also bans the collection or dissemination of any information about judges, law enforcement officers and their families (extending to their great-grandchildren...) It is in response to Euromaidan activists that called on judges to conduct trials according to the law, and for the police to defend (rather than beat) people: they put pressure on them by publishing photographs of officials who had flagrantly abused their powers, and by picketing their homes. ‘Now anyone who has posted information on the Internet about a law enforcement officer known to have beaten people can be arrested and imprisoned for six months,’ says Petrenko. Moreover, sentence can be passed in absentia, thus infringing a citizen’s inviolable right to self-defence. The 16 January law also introduces criminal liability for extremist activities. Petrenko estimates that the concept is deliberately so vaguely expressed that it covers an enormous range of possible activities. 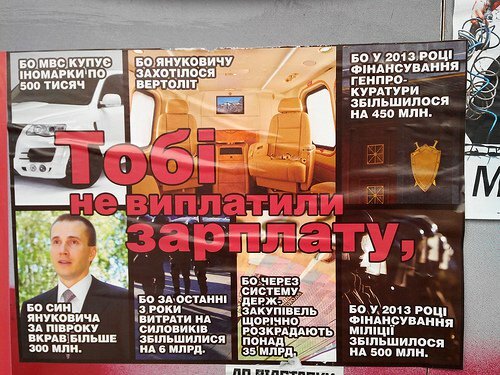 Now someone can be taken to court if he/she has a sticker with the words ‘Arrest Yanukovych!’ in a pocket. The fine would be 13,000 hryvna (£947), and for a second-time offence he/she could go to prison for up to three years. Now someone can be taken to court if he/she has a sticker with the words ‘Arrest Yanukovych!’ in a pocket. 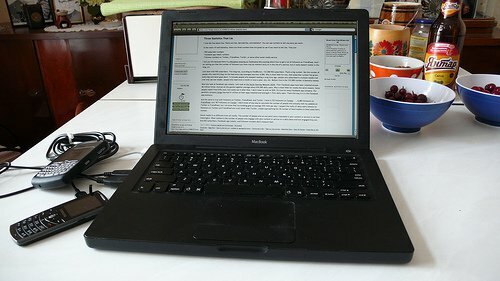 Under the law the powers of the National Commission for the State Regulation of Communications are increased, permitting it to take decisions to ‘limit access to Internet resources, if those resources have been used for disseminating information which is against the law.’ The decision to block access is taken using expert advice. Essentially, this means that the government now has the right to intervene in individual cases, to forbid Internet access. The Commission has also been given the right to ban any site publishing news or information if that site has not been licensed by a news agency. So all Ukrainian sites that are not registered media outlets (and this was not a legal requirement previously) will be closed down, if they do not register as legal entities. Simultaneously the law has reinstated criminal liability for libel, which was abolished in 2001. Last autumn, the Party of Regions tried to bring it back: at that time journalists formed a united front to protest, and managed to prevent the introduction of this harsh (and absurd) regulation. Now libel in the media is punishable with up to two years imprisonment. ‘This article is censorship, nothing more nothing less, and it will enable the government to bring pressure to bear on independent media,’ says Petrenko. The law also strikes at telecommunications providers that will now have to have contracts with subscribers, to be able to offer them their services: and buying a SIM card will only be possible on production of a passport. Taking its cue from Russia, the Ukrainian government has attacked NGOs in receipt of foreign funding. Just for them, the 16 January law introduces the concept of ‘foreign agent,’ and assumes for itself total control over their activities; the phrase ‘foreign agent’ has to figure in the titles of the NGO and to be entered in a special register; each month details of financial receipts and how they have been disbursed have to be submitted to the Justice Ministry. If an organisation refuses to do this, the Ministry has the power to close it down. Aleksei Khmara, president of the Ukrainian branch of Transparency International, says that use of the term 'foreign agent', which in Soviet times simply meant 'spy', makes many ordinary people feel very uncomfortable, and that this description is being used with the aim of maximally discrediting NGOs, and effectively taking control of them in the run up to the 2015 presidential election. The 16 January law has produced a strong reaction. ‘As soon as the President signs all the draft laws passed today, all of us who criticise the government will automatically become criminals. A cautious estimate of the number of people who use Facebook and VKontakte [a popular Russian social network] is over seventeen million, which means that more than a third of the population will now be outside the law,’ says political specialist Taras Berezovets. ‘Scum and blackguards! The freedom of the individual is no more and now they’re going to lock us up too. This affects everyone. For me it’s a challenge – I accept and I am not intending to buckle under it!’ wrote the Batkyvschyna deputy Arsen Avakov on his facebook page. Yes, the reaction was strong - journalists, community organisations and the international community called on the President to exercise his veto, but on 17 January Yanukovych signed the document into law. Finally, Viktor Yanukovych has shown us who he really is. What now? In Kyiv, it is clearly understood that only sanctions imposed by Brussels and Washington (which free-thinking Ukrainians have long since been calling for) can stand up to tyranny.